Are you looking for a pair of the Nike Hypervenom Phantom Football Boots, well we have you covered. 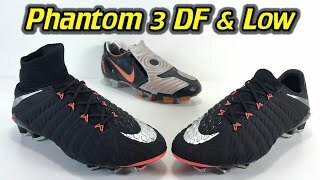 The following post has everything you need to know about the new Hypervenom Phantom 3 and the Hypervenom Phantom 3 DF. These boots have been designed to stand out from the rest of the products on the market. It comes with many desirable features that have caused amateur and pro players to choose them. Here are some of the attributes that will help improve your game. The Phantom 3’s have a perfect fit and comfortable feel. The upper is entirely made of Flyknit that makes them very flexible. The soft design makes the boots easy to slip on before matches or training. The flexibility is also spread to the soleplate, which allows players to perform tricks and moves with comfort and efficiency. Nike has sliced the collar of the on the Phantom 3 at an angle of 45 degrees. This ensures a perfect fit for the ankle and allows the boot to fit perfectly. The material has been tailored to easily stretch along the knitted area, which results in a unique fit. In addition, players will not experience any pressure when using the boots regardless of the duration. The upper’s performance is one of the key features of this boot. It creates a flexible feel because of the knit structure. The ACC (All Conditions Control) keeps the upper in shape to ensure longer lifespan, and without this ACC the boot would feel unsupported and flimsy. Unlike most other boots, the laces on this boot run through thin wires known as Flywire. The boots’ Flywire runs through their upper part downwards and around the sole. 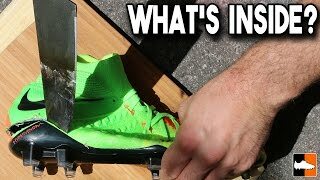 One of the things that make them different from Hypervenom 2 is that the Flywire determines how you are going to tighten the boots. The sole plate of the boots is made up of a softer compound when compared to the original version for extra comfort. In addition, the split toe design and agility traction pattern allows a quicker response so you can change direction quickly. 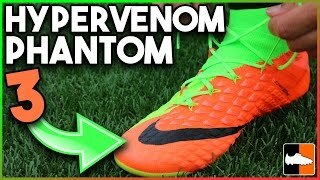 The release of the Hypervenom Phantom 3 saw the end of the Hypervenom Phinish. 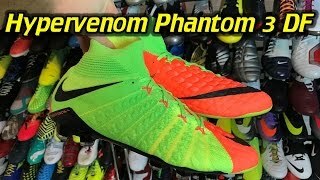 Meaning the Hypervenom range will continue with just four versions, the Phantom, Phatal, Phelon and Phade. However, Nike hasn’t left us wanting and have released a low cut version of the Hypervenom Phantom 3 DF. A more affordable option than the DF, with all the same innovative features without the Dynamic Fit Collar, which some people may not be keen on. So you can get all the benefits of a top range boot for around £50 cheaper than the top level Hypervenom DF. 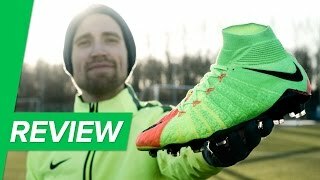 This entry was posted in Nike Hypervenom Football Boots. Bookmark the permalink.